Socialism, Nazism, progressivism… these “isms” do so much damage. But people still believe. Matt Kibbe of Free the People created a video series called “The Deadly-isms” to inform people about them. 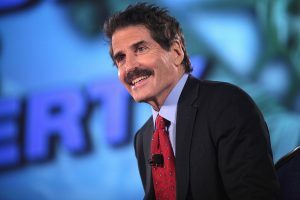 America has been spared totalitarianism and the other worst “isms” of the world, but John Stossel says it does have it’s own “ism’s” to worry about, like crony capitalism, crapitalism, corporatism. I disagree that any of the Isms cited in the video are right wing philosophies. They are ALL left wing. Some are more virilent & more violent than others but they all stem from left wing philosophies of wanting to centralize control their societies . 2. Fight, scrape, scratch, steal and work with all you being to “get ahead” and accumulate wealth and power. Only to die and leave it all to fools, lawyers and the government. That is it. NOTHING ELSE.